For decades, children have been given immunizations to protect them from illnesses and diseases, some of which are potentially fatal or life-altering. And it is because of these immunizations that certain diseases and illnesses are now practically unheard of. Yet, despite the protection that immunizations provide, there have been concerns about their safety. Some of those concerns have been spurred by a study published back in 1998. Conducted by Dr. Andrew Wakefield and published The Lancet, the study pointed to a link between autism and the MMR vaccine. But just a few years after the publication, The Lancet withdrew the article, saying that it had been fraudulent. Journalist Brian Deer also published an investigation in the British Medical Journal. He revealed that, not only was Wakefield’s study fraudulent, it was also motivated by financial greed. The number of vaccines children receive in the first 24 months of life. The number of vaccines given to children in one doctor’s visit. Concern about a link to autism. Another survey, cited in the CDC’s report, also found that parents are making decisions about when (or if) to give immunizations. About 1 in 10 parents are either delaying or declining vaccinations for their children; most of these parents believe it’s safest to delay the vaccinations to reduce exposure and risk to their children. The CDC’s study looked at the amount of antigens that babies/toddlers receive in one vaccination day, the amount of antigens they receive in total during the first 24 months of life. (An antigen is a substance found in vaccines that causes the child’s immune system to produce antibodies so it can destroy the bacterium/virus/parasite; this is what helps the body build immunity to the illness or disease.) They also looked at the possible link between these vaccines and autism. Researchers gathered data from three different managed care organizations (MCOs) and examined data on 256 children with autism and 752 children without autism. They found no difference in the antigen exposure between the two groups; this included children who had autism spectrum disorder regression (a loss of developmental skills during the second year of life). Researchers also found that children are actually exposed to fewer antigens today than they were just two decades ago. A 24-month-old that has conformed to the routine childhood vaccination schedule in 2013 is exposed to a total of 315 antigens; children in the 1990’s were exposed to thousands of antigens by this time. According to researchers, the reason for this is because vaccines have been altered since the 1990’s; they now contain fewer antigens. For example, the original pertussis vaccine caused the patient to produce about 3,000 different antibodies while the newer, acellular version causes the body to produce only about 6 different antibodies. “This study demonstrates that autism spectrum disorder is not associated with immunological stimulation from vaccines during the first 2 years of life,” the CDC said in an online communique with Medical News Today. They added that a baby’s immune system is actually built to respond to a large amount of immunologic stimuli from the day they are born. In fact, infants are exposed to hundreds of antigens and several hundred non-vaccine-related viruses within the first two years of life. It is this exposure that helps to protect children in the future. 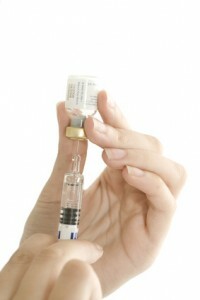 The Vaccine Education Center at The Children’s Hospital of Philadelphia has some easily downloadable sheets that discuss the research surrounding vaccine safety concerns including autism (http://bit.ly/VaccinesAndAutism) and too many vaccines (http://bit.ly/TooManyVaccines).